Diverse Private Island in a Mesmerizing Coastal Location Private Island Gem! 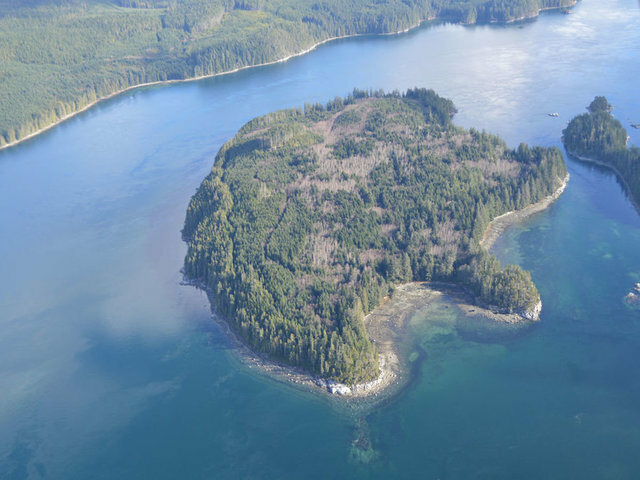 107 acre Walkem Island is located in Johnstone Strait between East Thurlow Island and Vancouver Island. Peninsulas, deep water bays and three expansive shallow bays with beautiful beaches make up the extensive shoreline. Location provides easy access from Vancouver Island. Island is surrounded by beautiful coastal waters, spectacular marine wildlife including migrating whales, and excellent seafood harvesting opportunities. There is a surveyed foreshore lease in place in a protected bay. There are three drilled wells on the island. Previously logged but in a healthy state of mixed forest regeneration with mature forest along shoreline. Zoning would permit subdivision. A magnificent island given the features, access and services all within a reasonable distance yet completely private and surrounded with phenomenal natural beauty. This is a fantastic opportunity to develop a private island retreat or an exclusive island community incorporating up to possibly 21 five acre parcels throughout the island.